Ahead of their ebookcraft presentation Is Your EPUB Accessible: Put it to the Test where they will showcase Ace by DAISY, the new EPUB accessibility checking tool launched at the end of January, Romain Deltour and Matt Garrish have written a incredibly useful Guide to Accessibility Jargon for BookNet Canada. Make sure you gen up on all of your terminology in preparation for this sell-out event! 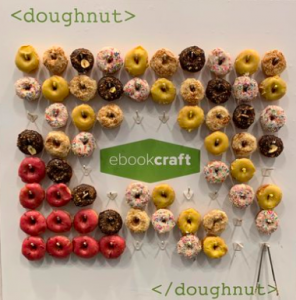 ebookcraft is a two-day conference dedicated to ebook production—if you’re looking for a mix of practical tips and forward-thinking inspiration, you won’t want to miss it. 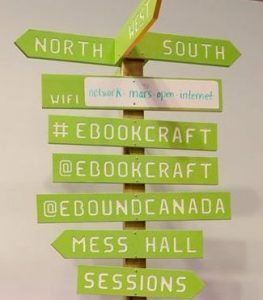 In 2018, the main conference day will take place on Thursday, March 22, with an optional workshop day for the #eprdctn crowd on Wednesday, March 21. Romain Deltour (software developer, The DAISY Consortium) and Matt Garrish (Editor, Digital Standards and Process, The DAISY Consortium) will demonstrate the new Ace by DAISY, open source, EPUB accessibility checking tool. With several sessions devoted to accessibility and specific focus on inclusive publishing throughout the conference make sure you don’t miss out! For program information and registration details (early bird pricing is open through January 2018) visit: http://techforum.booknetcanada.ca.